The Bike Hanger Copenhagen Series is the next generation of our bicycle wall rack with light colour pallet, new shape and materials. 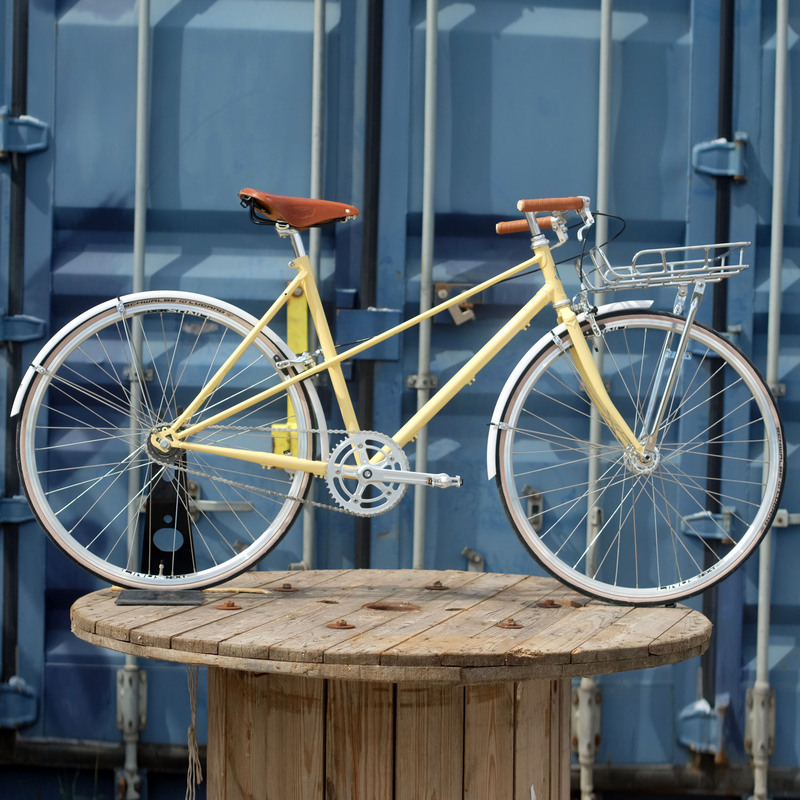 The design of this latest series is inspired by the beautiful cycling capital of the World – Copenhagen. We use premium materials such as oak, AISI 304 stainless steel, aluminium and cork to give this product a truly premium look and feel. 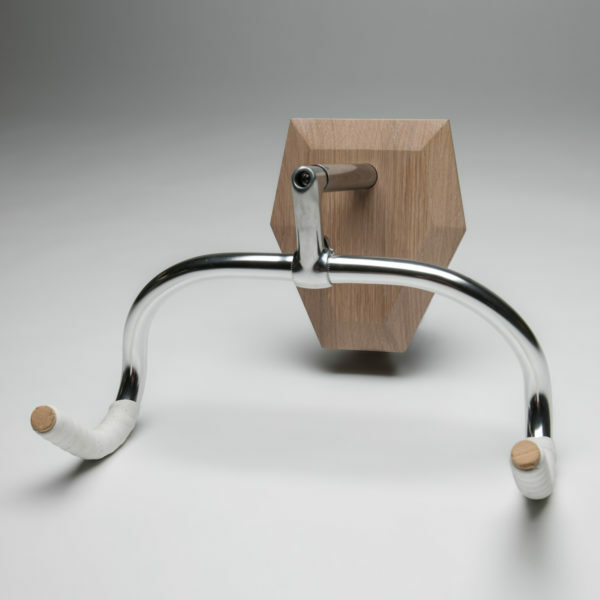 The form itself combines the classic antler shape with an edgy, almost cubism inspired solidity of sharp angles. The current colour scheme is named after one of the most dynamic areas of Copenhagen – Frederiksberg. 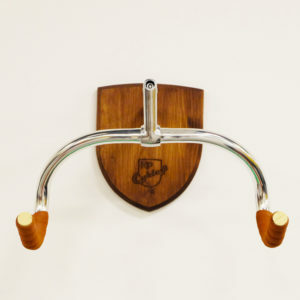 The Dark Knight Edition Bike Hanger gives your bike the place in your home it deserves – displayed like a trophy it is. “Most are simply hooks […] may be high on the utility-scale but are – in the humble opinion of the Groom+Style team – ugly. 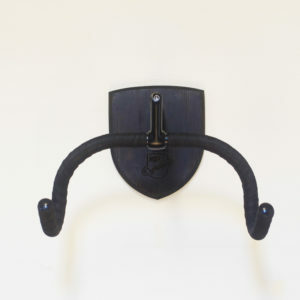 The Bike Hanger 2.0 from KP Cykler is a very different animal: convenient, sturdy and sleek.” – Groom and Style. Mounting The Bike Hanger is very easy and safe. 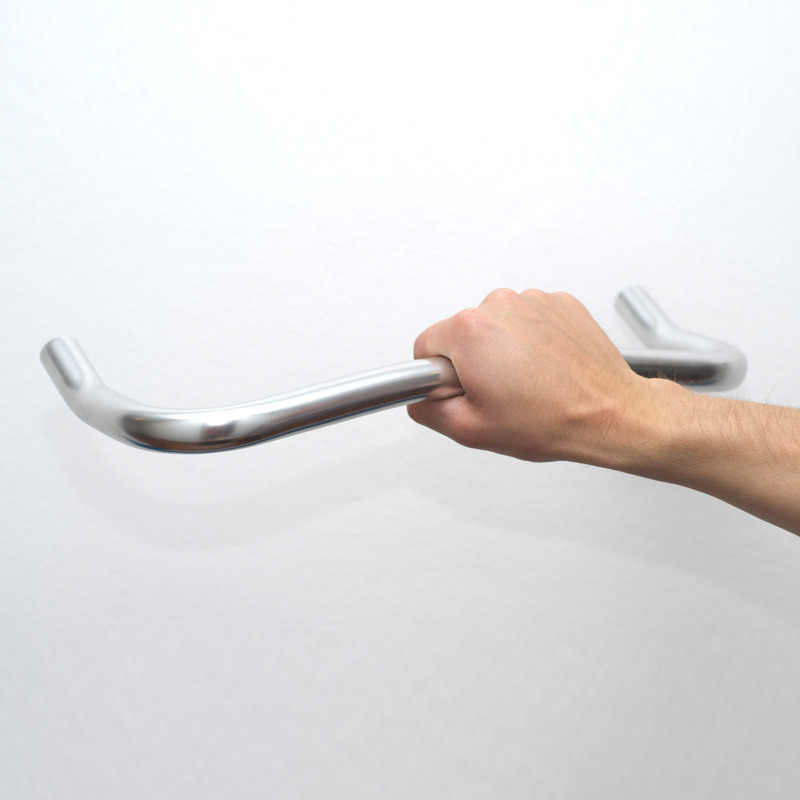 Install screws into your wall, and slide The Bike Hanger on them. 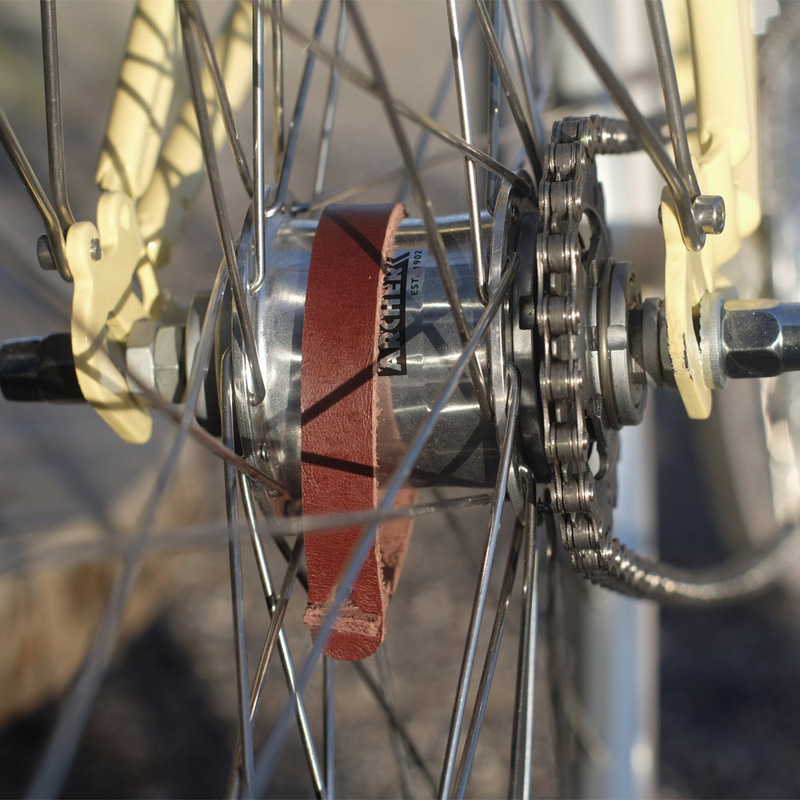 In most cases, 2 screws are enough, the 3rd, bottom slot, is for extra stability if the bike is heavy on one end. Zic-zac pattern of the slots means the The Bike Hanger will not fall off the wall accidentally. Use wall anchors for drywall/plaster wall & plywood walls; wood screws (included in the shipment) for solid wood walls and dowels (included in the shipment) for stone, concrete & brick walls. Why get The Bike Hanger? Your bike has seen the best days, hanging out with friends in the sun, and the worst, grinding through cold rain. It has been through it all. 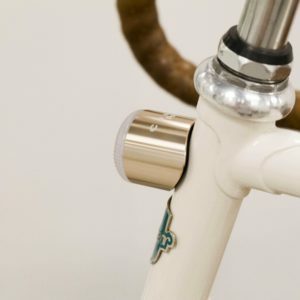 The Bike Hanger will store your buddy in the most beautiful way, and from a practical point of view it will – keep your home organised; save you from tire marks on the wall when stowing it against the wall; and it saves floor space.